AFS USA Community College programmet giver dig mulighed for at styrke dit engelske, forberede dig til din videre uddannelse og karriere og opleve en anderledes kultur - alt sammen gennem verdens største og ældste udvekslingsorganisation "AFS Intercultural Programs". The AFS-USA Community College Program is perfect for applicants interested in intensive English language study or a serious first step towards a higher education degree. It is also an exciting gap year cultural immersion experience. AFS has designed this program to meet the needs of young adults (18-24) who have completed the high school diploma equivalent in their home countries. Participants are placed in homes where they can experience the United States with the safety and support of host families and international student services support from the college. At IECC participants take a course load of 12 credits to maintain their visa status with the colleges. They must attend classes and keep up an acceptable grade point average to maintain their visa – which is administered by the college directly. Illinois Eastern Community College (IECC) is one of several colleges in the AFS College USA program. Campus location preferences cannot be guaranteed. 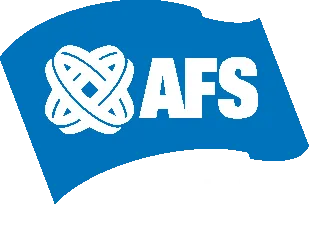 While you may indicate the college that you prefer, AFS-USA’s ability to confirm a placement for you depends on a variety of factors, including the admission requirements of the hosting college as well as the number of available host families in the surrounding community. Students who apply early tend to be more successful at locating in a specific destination. IECC is a cluster of 4 community colleges that attracts international students and is in between St. Louis, MO and Chicago, IL. The international student services department arranges many activities and trips for the students. Last year, students could choose to go to Chicago, St. Louis and Orlando, Florida with other international student friends. AFS USA will also offer a 2-3 day excursion each semester during which the Global Competence Certificate program will be offered and sightseeing time will be available. Chicago will definitely be choice destination for it’s many cultural attractions. Participants are on a flexible independent travel plan after two months and when school is not in session. Participants who arrive with a drivers license may choose to drive (see additional conditions). Read more about the college HERE. You can also read more about the AFS college program on the AFS USA website HERE. A TOEFL (or comparable test) is preferred but not required. Food is available to make lunch but student may also choose to purchase lunch at their own expense at the school dining hall.